Small towns with large personalities. The beginning of Christopher Guest, kind of sort of. Spinal Tap and the Guestmen. Guffman. Guestmen? 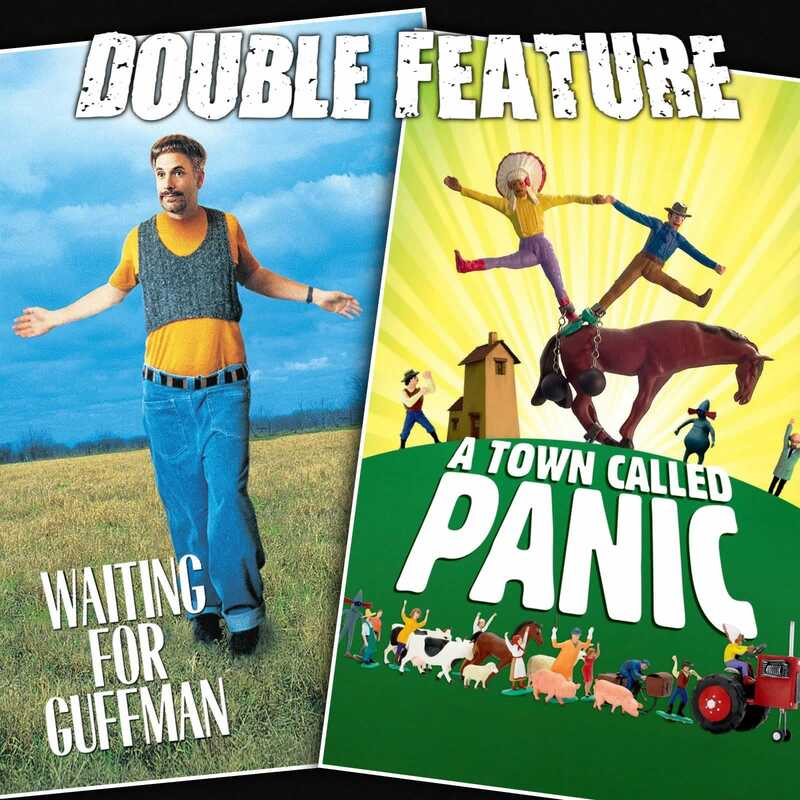 Either way, what’s up with Waiting for Guffman’s Windows 95 looking cover? A cult following of a whole different kind. Who is really Waiting for Guffman? Living moment to moment in A Town Called Panic. The undertaking in creating a feature length film based on a season of five minute shorts. What’s the central conflict of A Town Called Panic? Change of scenery change of scenery change of scenery. Oh no, good news! Animated plastic toys like Cowboy, Indian and Horse have problems, too. Cowboy and Indian's plan to surprise Horse with a homemade birthday gift backfires when they destroy his house. This entry was posted in All Podcasts, Year 9 and tagged Christopher Guest, Stéphane Aubier, Vincent Patar. Bookmark the permalink.